It’s not the beauty of a building we should look at; it’s the strength of the foundation that will stand the test of time. 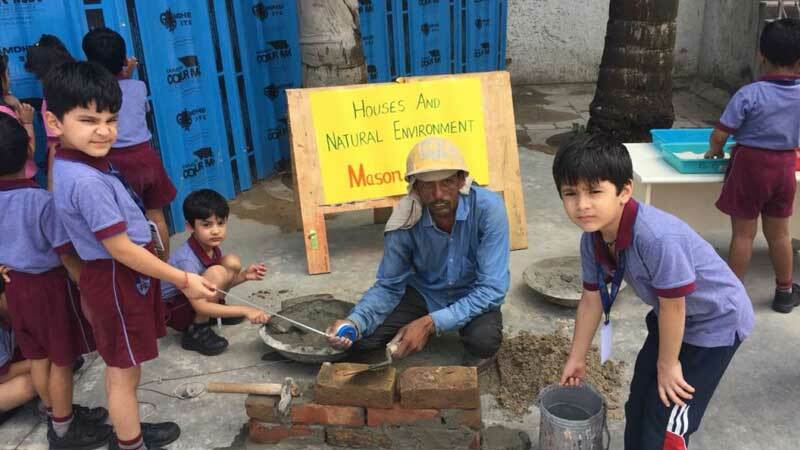 Kindergarteners at MRIS-51, Gurugram interacted with mason as a part of their ongoing theme- Houses and Natural Environment. It gave them a real life exposure on how a house or a building is made and which materials are used in it. Students had hands-on experience of touching and feeling a variety of material. It was quite an enriching and amusing experience for them. 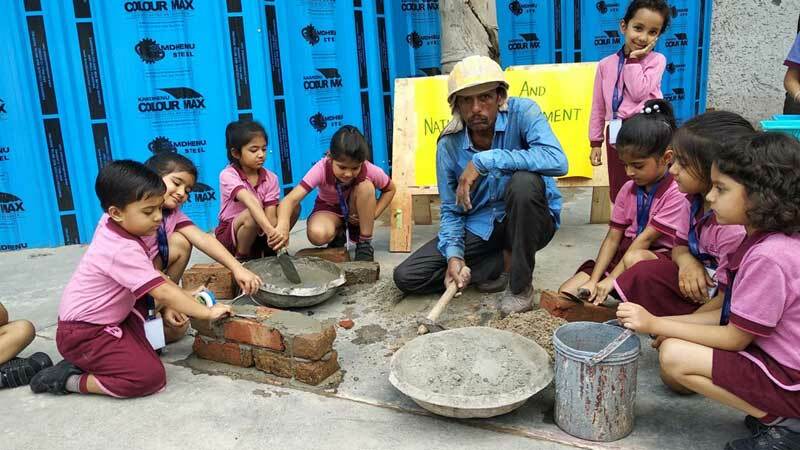 Kids were excited to see the labourers building up a sample wall with cement and bricks. They also tried their hand in mixing the sand and cement. Overall, it was an enriching session.